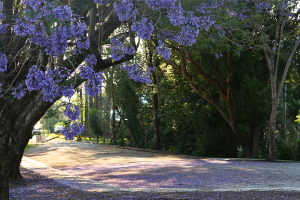 Easter is a great time in Australia – particularly here on the Sunshine Coast. There really isn’t anywhere better to be experiencing the great weather than in some of the most beautiful scenery this country has to offer, so finding any and all worthy reasons to get out of the house and into the fresh air is high on the agenda. Luckily, this Easter Weekend the Mary Valley has us covered, with the Imbil Easter Carnival this April 19th til the 21st. This is the first time such an event has been held, and it’s set to be an event to remember, with fine dining events, food and wine, entertainment and family activities to keep the whole family entertained and off the internet for the entire weekend. The program is absolutely stacked, kicking off on the evening of Friday the 19th at 6:30pm with a dinner under the stars – get ready to frock up for a night of fine dining and entertainment along the rail line at the Imbil Heritage park. Tickets are $75pp and includes a three course meal. Saturday begins with the Poet’s Breakfast at 8am – a delicious way to start your day during which time you will be kept thoroughly entertained by a variety of local poets, with an open-mic at the end for anyone wanting to join in and share their poetic chops. The Food and Artisan Ally and the market stalls will also be open from 8am for those with a need to spread their cash around, with children’s entertainment and activities beginning at 10am. At 11am the barefoot will kick off surrounded by the markets, food stalls and constant entertainment. Sunday it all kicks off again at 8am for round two. 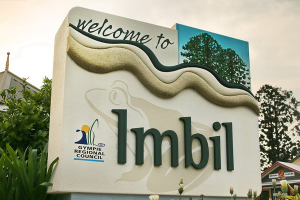 Imbil itself is nestled cozily amongst the Amamoor, Imbil, and Yabba state forests that make up this beautiful region of the Mary Valley and Sunshine Coast region – just less than an hour’s drive inland from Mooloolaba and the coastline itself. There really isn’t a better family friendly way to spend your autumn than on the Sunshine Coast, especially with events like this offering such an incredible time, in such stunning scenery. 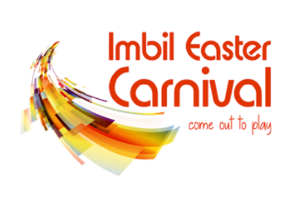 So leave the Easter Bunny a note, and head on out to the Imbil Easter Carnival, else you’re hopping mad. For more information on the carnival, visit the official website here.